Peter was raised by his single mother until she passed away when he was 12 years old. 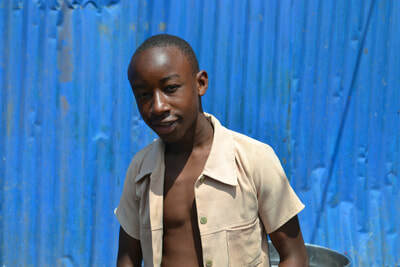 After his mother died he went to live with his grandmother in Nairobi. After a couple of years he dropped out of school and went to the streets, begging and stealing. In 2014 he was among a large group of boys arrested for stealing and was sent to a juvenile detention center for two years. In 2016, the detention center, having heard about Global Hope Rescue and Rehabilitation Center, suggested he be released to the center. In the last two years Peter has changed a lot! He fought very hard to return to school, but in 2017 was continuously told to return home due to lack of fees. 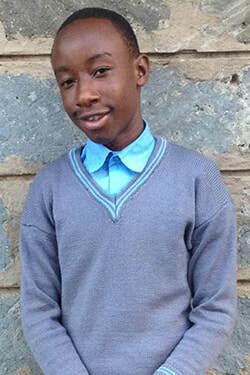 We decided to give Peter a chance this year, so we have already paid for his 1st term school fees, he's done incredibly well and has definitely proved to all of us that he deserves to be back in school!